Here’s a really mellow look to add to the list of Valentine’s Day looks. 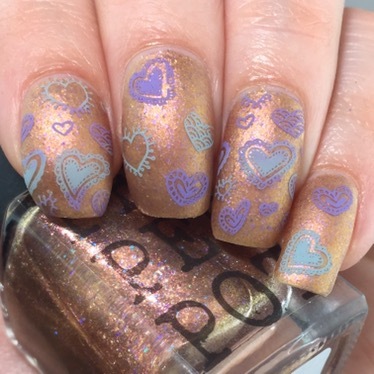 I really liked the soft, calm look of “Cats & Feminism 4Ever” from the new Pepper Pot Polish collection, and wanted to give it some cute, but mellow nail art for the upcoming holiday. I started off with “Cats & Feminism 4Ever” (want to buy? 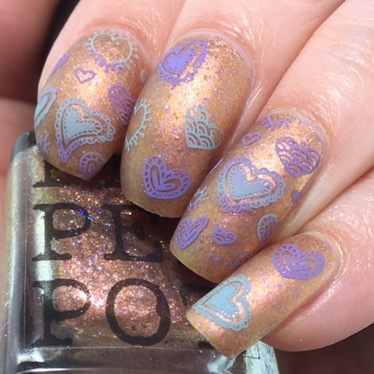 used code “PHD2017” for 15% off) as the base and matted it with KBShimmer’s “Oh, Matte!” to tone down the metallic and bring out the lavender flakies. 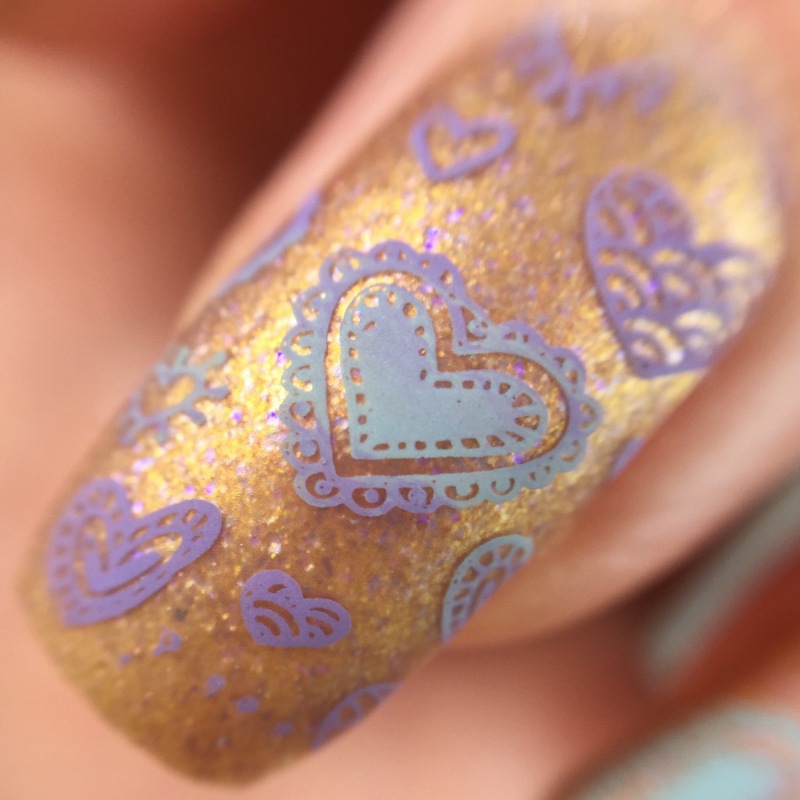 From there, I used both whole-nail and coordinating individual designs from UberChic’s Collection 7-01 to pattern in the cutesy hearts. 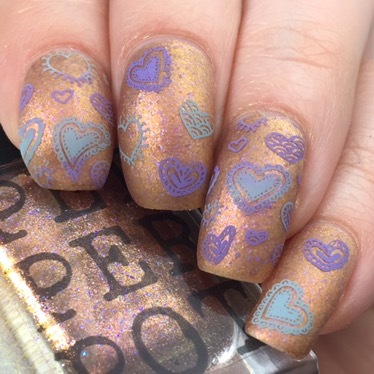 I used two stamping polishes for this look: MoYou London’s “Dusty Cloud” and Dance Legend’s “Violet“. For the full-nail designs, I smooshed together the two colors before scraping, so that the colors came together in stripes.